Bam! 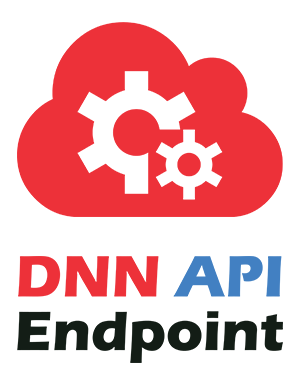 DNN API Endpoint 1.2 is Out! You and DNN API Endpoint, are an unbeatable combination when building APIs on your DNN portal. You would be happy to know that your best ally is now better equipped for the challenges that you face. DNN API Endpoint upgraded to the new 1.2 version. Product updates are the milestones in our pursuit of perfection. We take them very seriously, and strive continuously to come up with new features that help make your life in DNN easier. Awesome. Feature-rich. Powerful. Sounds scintillating, doesn’t it? We agree. That’s why we’re excited to bring you the new version of DNN API Endpoint that brings you all of these things and more in the wonderful world of DNN. If you like what you see here, go ahead and give the new features a try. We would love to hear your thoughts about them. Great DNN web apps are not stand-alone things. Fueled by data, they require connection to an exploding number of data sources. For most DNNizens this has meant tedious hand-coding of specialized integrations to make data consumable. This approach though is a house built of straw – it may be workable an app or two, but quickly collapses under its own weight. That's the reason DNN API Endpoint was built, to make your life easier. DNN API Endpoint started life as a side project at DNN Sharp a few years ago. As we worked to solve our API needs, the idea of DNN API Endpoint was born, bringing what we felt to be the “good parts” of REST into a simple, easy to understand format. From that idea, a wide range of features have emerged. DNN API Endpoint has filled an important need, and most importantly, at the right time. The community that has grown up around DNN API Endpoint is tremendous to both observe and interact with. Simple and straight-forward – right? Enthusiastic hip bumps to our entire crew for an outstanding release. We have never stopped innovating and never intend to. Our promise is on better products everytime. As we say, possibilities are endless, but each of you has a specific requirement and we are all set to meet those. And there you have it—hopefully this release will help alleviate any headaches about how to create APIs in DNN. As always, don’t hesitate to reach out to our support team for questions! DNNizens, Finally Take A REST! DNN API Endpoint Is Out!